Showing results by narrator "Jim Cantore"
August 29, 2005. Hurricane Katrina is approaching the Gulf Coast. A Slidell, Louisiana, man, Kennard Jackley, makes the decision to ride out powerful Hurricane Katrina in his house. Although his home is raised 14 feet above the ground, the rising storm surge from Katrina could flood the house. The first Category 5 hurricane in 30 years to hit the U.S. devoured South Florida in 1992. Taking a hurricane for granted will never happen again to the survivors, who tell their tales of living through one of the costliest hurricanes in U.S. history. March 1999: 40 workers at the Amundsen-Scott South Pole Research Station brace for "winter", when temperatures can reach 100 degrees below zero for eight and a half months. At 70 below zero, no aircraft can take off or land, because jet fuel turns to gelatin. Dr. Jerri Nielsen has been at the South Pole for four months running the medical facility, but has treated no emergencies or serious medical conditions, until her own. Dr. Nelson is diagnosed with cancer. Van Wert, Ohio, November 10, 2002. Ron and Melissa Mengerink spend the day tidying up their home. As Ron vacuums, he's unaware that tornadoes are grinding closer and closer to their area. The tornadoes begin to die off and appear to no longer be a factor, until the third tornado spawns a fourth. The fourth is a monstrous F-4 and heads straight for them. High-school senior Zac Andereck was enjoying his school prom when an F-4 tornado struck his hometown of Hoisington, Kansas. As he and his classmates ran for cover, Zac's parents placed a desperate call to his cell phone. They were trapped in their destroyed house. Zac raced home and began frantically digging through the rubble of his home to rescue his parents. After rolling across the Atlantic Ocean and cutting a deadly path through four Caribbean nations, Hurricane Georges heads directly for the tiny two-mile-by-four mile island of Key West. Brad and Janine Stickleman may have the best tornado warning system in all of Nebraska. When their dog, Champ, headed straight for the basement on May 17, 2000, they knew that the eerie skies were holding a lot more than they ever imagined. It started with baseball-sized hail and ended with a mound of destruction caused by an F-3 tornado. Just before the storm hit, Champ took off up the basement stairs. The twister destroyed the Stickleman's home, but their biggest concern was Champ. By: The Weather Channel Inc.
On May 3, 1999, a band of vicious tornadoes slashed through the heart of Oklahoma. It was one of the most powerful storms to ever strike "Tornado Alley". At least 38 people died, and thousands more were left homeless. One of the memorable events from this storm was how a 10-month old infant was snatched out of her mother's arms. January 2005: Southern California is experiencing the second wettest season on record, and torrential rains cause several landslides. Three months later, Californians are beginning to think the danger has passed. But in Laguna Beach, a community set against a steep hillside, water from heavy rains has seeped into the slopes, causing them to become unstable. In October the cyclic winds begin. A high-pressure system parks over the region, causing cold, dense air to spin clockwise, moving toward the southwest and eventually slamming into the mountain ranges of California. There is only a matter of time before a wildfire begins. On Tuesday, October 21, 2003, an arsonist starts a brush fire. In less than four hours, this fire consumes over 600 acres of land. As the wildfires get out of control, firefighters are overwhelmed. 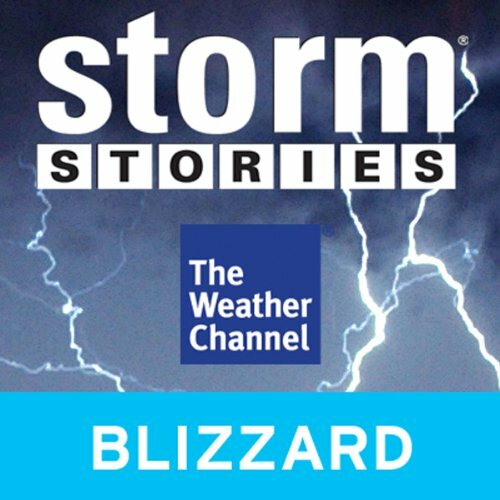 A massive snowstorm moves off the North Carolina coast and catches the cargo ship, White Seal, with its 20- to 40-foot waves. On January 24, 2003, Captain Yakov Korniyuk is trying to save his crew from the relentless storm. Unfortunately, his single-engine vessel is no match for the churning current that is pushing them even further out to sea. When he realizes his ship is taking on water, he's left with no choice but to signal for help and contemplate abandoning ship. Saturday, September 4, 2004, Citra, Florida. Thirty-five lions, tigers, and cougars are pacing in their cages at the Endangered Animal Rescue Sanctuary, or EARS. In the past few days, the big cats have been agitated and aggressive. Hurricane Frances is on its way. Along with Hurricane Frances comes much destruction to the sanctuary. The women that own and operate EARS work to ready the cages for the next storm to come, Hurricane Jeanne. In June 2002, Richard Van Pham sets sail from Long Beach to Catalina. Along the way, he runs into a storm and is cast adrift. On September 17, 2002, some 200 miles off the coast of Costa Rica, the men on board the USS McClusky receive their first search and rescue mission. They arrive an hour later to find a 24-foot sailboat with a broken mast and hull, covered with birds. Be there as Van Pham's amazing story of survival unfolds.